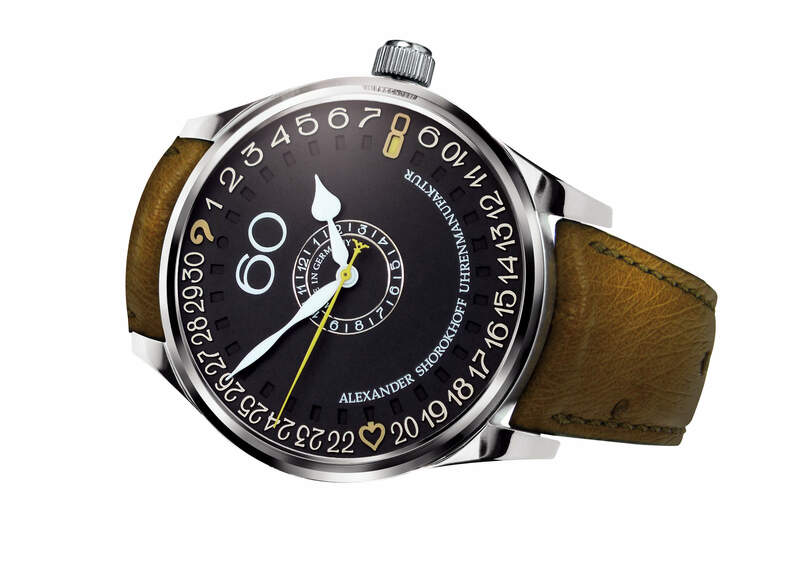 The watch “Lucky 8” of the AVANTGARDE-collection featuring a “Vintage”-movement is a high quality mechanical product with hand engraved movement and unique modern design made by the company Alexander Shorokhoff watch manufacturer. 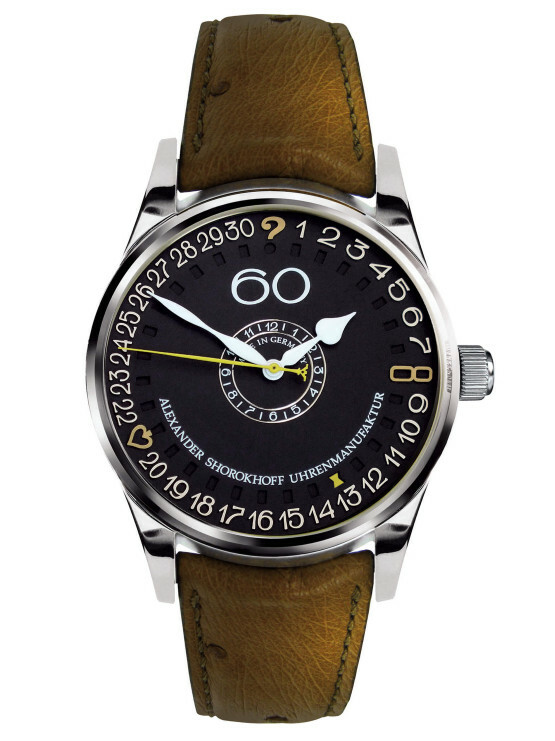 The movement of this watch model is a cal. 2416.Poljot. 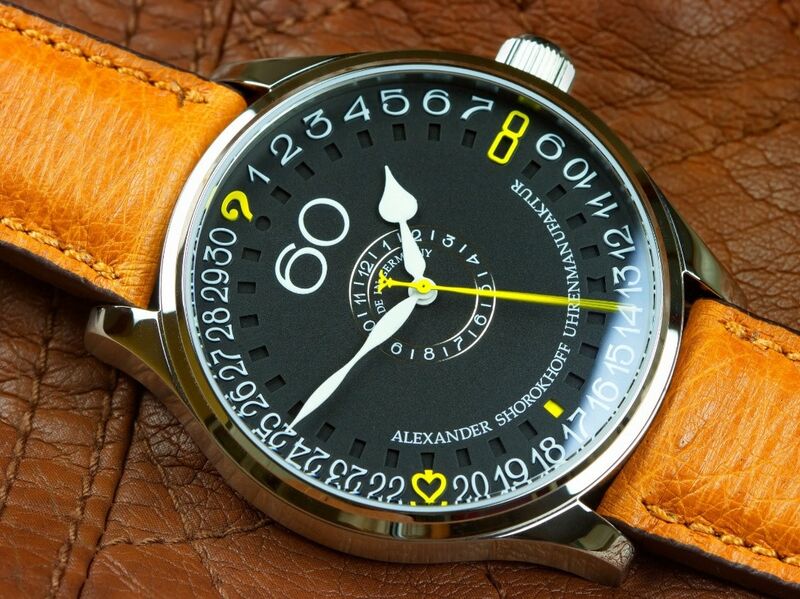 It was produced from 1982-1996 in the first Moscow watch factory “Poljot“. 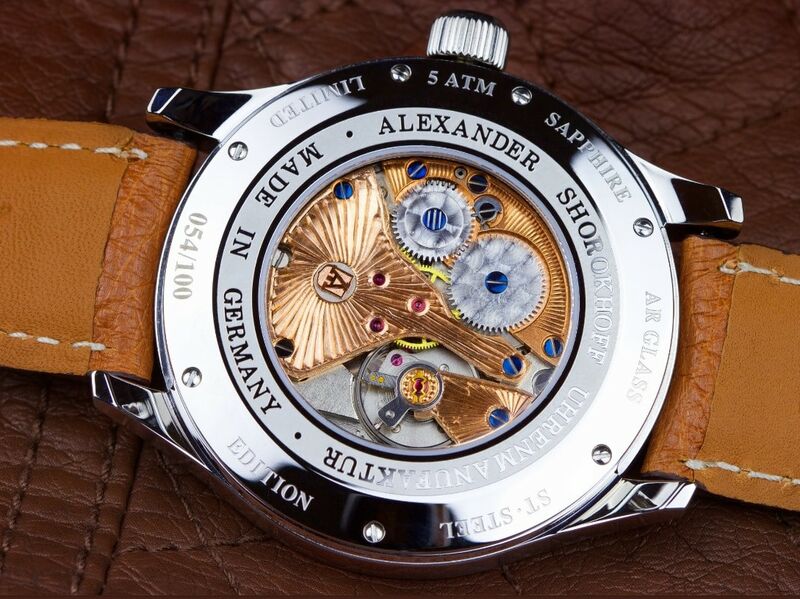 The “Alexander Shorokhoff“ watch manufacturer has purchased 350 new movements from there and is going to produce two limited editions of this watch model. “Lucky 8” is made as a homage to all people for whom the figure 8 of the Chinese culture is very important. 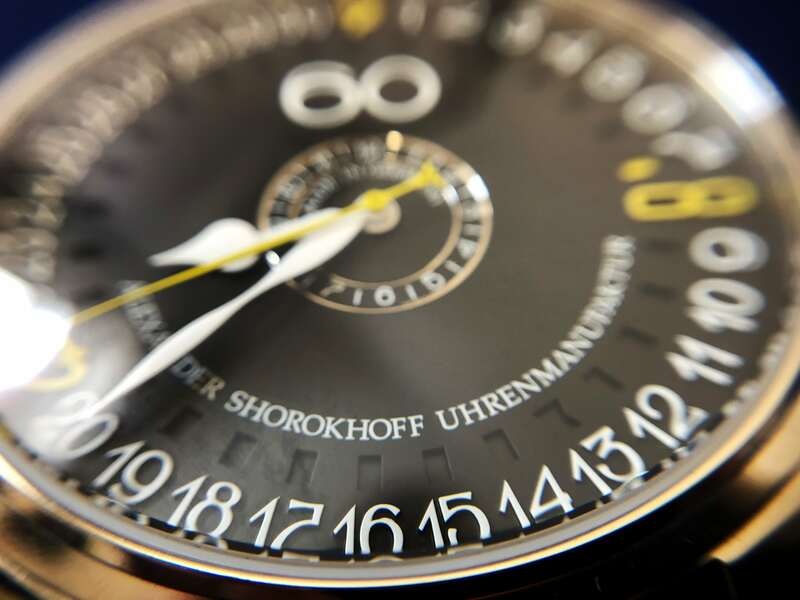 a special ring was designed and placed under the dial. 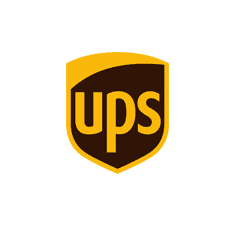 you think of the gamble „Black Jack“ and is actually referring to the figure 8. 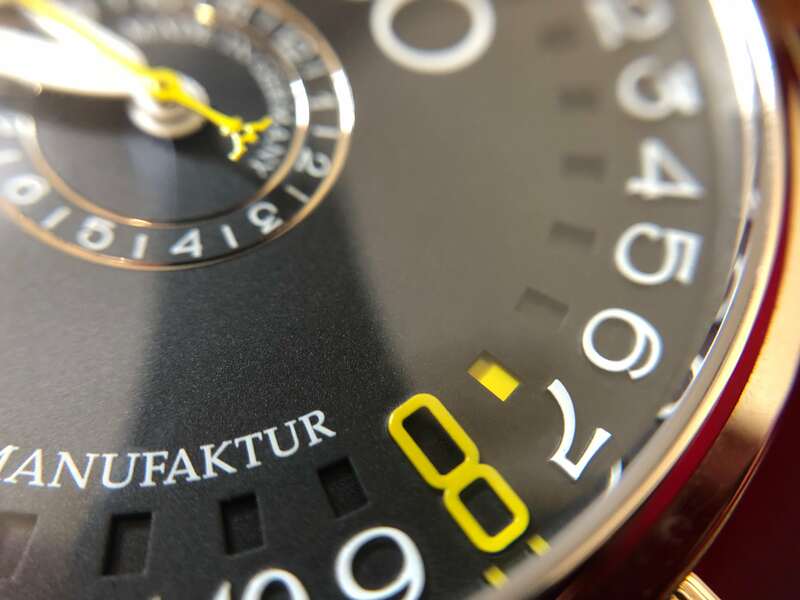 In this way should be pointed out the double luck expressed by this figure having a positive connotation in China; in any case, it was not by accident that the watch has got the name “Lucky 8”. The day 31 occurs exactly 7 times per year. 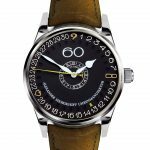 That means not every month; for this reason its place at the outer scale was decorated by a question mark and should remind the watch owner of the date adjustment. The watch features also a large 60 at the dial which is meanwhile a characteristic mark of almost every “Alexander Shorokhoff”-watch as well as the hand engraved movement. 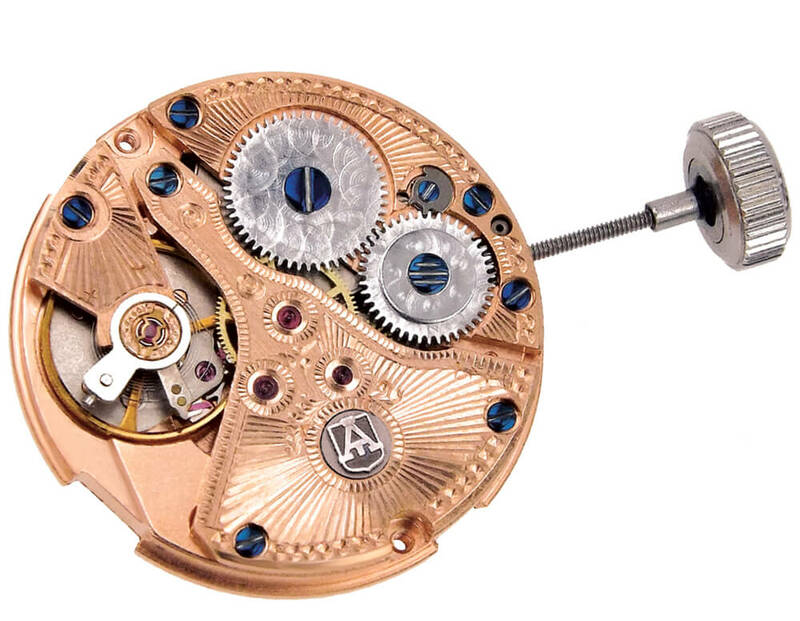 When turning the watch, you will have a wonderful view at the play of the interlinked gearwheels, small levers, bridges and screws of blued steel. 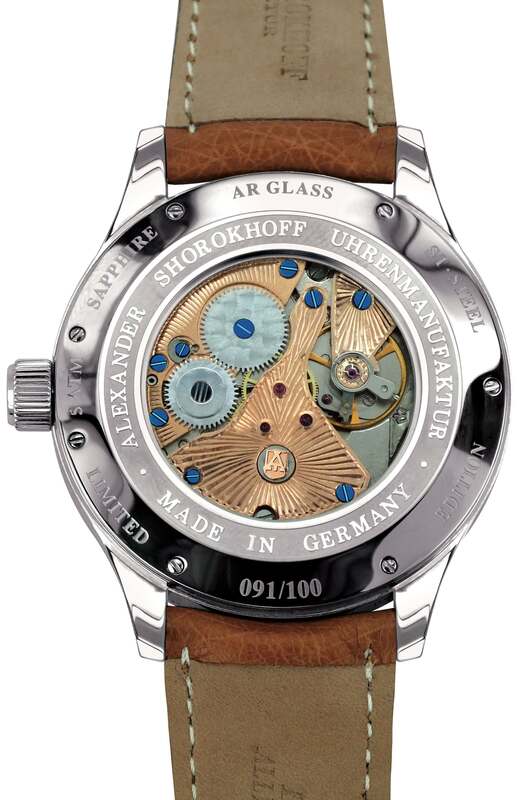 Before the delivery, this movement has been adapted to the quality standard of the other “Alexander Shorokhoff“-watches. 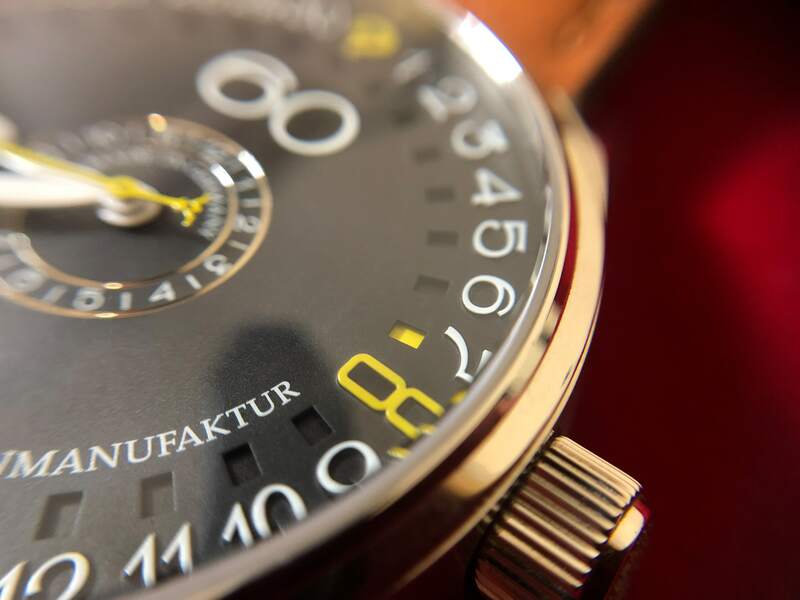 All components were hand engraved or decorated by fine clouds polishing and additionally gold or rhodium plated. Only after this special treatment, the parts are re-assembled step by step into a new movement, thus every movement becomes a unique piece.